This is an album to remind us that what once existed will eventually be obliterated; that what’s left after a fire will be the heat, the ashes and the smell; that the remains of an absence will be an emptiness… To remind us that from the death of magic, only despair and hope can survive - the two poles, extreme and opposite, constantly and impetuously alternate in the music of Anna von Hausswolff. For the promotion of Dead Magic, the artist has chosen a poem by the Swedish writer Walter Ljungquist (1900-1974) as the only comment - a suggestion and nothing more, the rest of the magic will be left to the music. 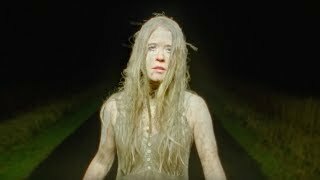 Anna Von Hausswolff shares second track from forthcoming album!